NOW THE YOUNG ARE ABANDONING OBAMA ... Even more bad news for President Barack Obama, this time from “Millennial” voters, those from the age of 18 to 29 years. Barack Obama was supposed to represent “Hope & Change” for the young people of America. However, since his election in 2008 all the “Millennial” voters have experience is that cannot gain employment. A recent Harvard poll has some extremely bad new for Obama in his 2012 reelection bid. According to Harvard’s Institute of Politics poll of “Millennial” voters, 36% think Barack Obama will lose while 30% think he will be voted into a second term. Also, only 46% of Millennials approve of the job Obama is doing as president, the lowest mark since IOP polling of the Obama administration began in the fall of 2009. Full polling data can be found HERE. Also, some more damning polling data for Obama. •Approximately one-third of younger voters following “Occupy” movement; less than one-in-four supportive. Thirty-two percent of 18-29 year-olds say they followed the “Occupy Wall Street” demonstrations either very (6%) or somewhat closely (26%), with 66% saying they were not following the demonstrations closely. Twenty-one percent (21%) of Millennials say they supported the “Occupy” movement with one-third (33%) not supportive and 46% either unsure or refused to answer. •Job approval ratings continue to slide for President Obama as well as Democrats and Republicans in Congress. President Obama’s job performance rating among America’s 18-29 year-olds is currently at the lowest point since IOP polling of the Obama administration began in the fall of 2009. Forty-six percent (46%) of Millennials approve of the job Obama is doing as president – a decrease of nine percentage points from Feb. 2011 IOP polling (55%) – with 51% saying they disapprove. Obama’s job approval has also fallen among college students from 60% in February to 48% today. Views toward Democrats(33% approval; down from 45% in February)and Republicans in Congress(24% approval; down from 30% in February) have also slipped significantly over the same period. 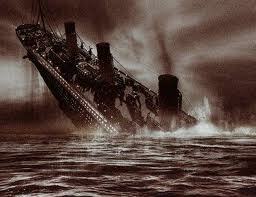 Can you say the ship is sinking? This is hardly the polling data nor the downward trend that an incumbent President would want less than one year from an election. Barack Obama Hits 40% Job Approval in Latest Fox News Opinion Dynamics Poll … How Low Can He Go?